This extinction killed off 75% of all species alive at the time. An exact cause is unknown, although a meteor impact and/or climate change have been suggested, as well as plants messing with the soil. 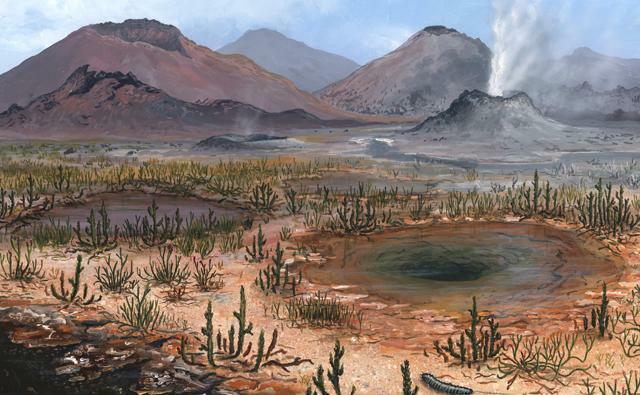 The sea was drained of oxygen, wiping out Trilobites, one of the time's most successful species. 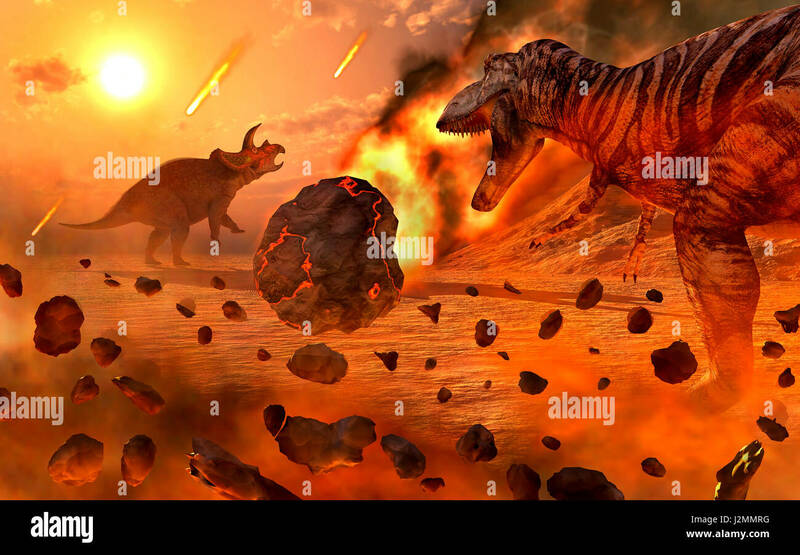 This is easily the most famous and well-known of the five mass extinction events. It wiped out the non-avian dinosaurs, pterosaurs, and marine reptiles. The most widely-accepted theories are an increase in volcanic activity (which will pop up many times on this list) and/or the meteor strike in the Yucatan Peninsula. The meteor would've sent tons of flaming debris hurtling down, destroying plants. Tsunamis would decimate the coastlines and acid rain would sear animals alive. Debris hurtled into the atmosphere by the impact would block out the sunlight, killing any plants spared by the onslaught. With nothing to eat, herbivores like Triceratops and Ankylosaurus would starve to death. With their main food source gone, carnivores like Dakotaraptor and Tyrannosaurus rex would resort to cannibalism before being starved into extinction. Overall, 76% of all species were annihilated. Millions of years before the dinosaurs met their demise, they were the survivors of an even greater extinction; the one that ended the Triassic. It is the most mysterious of the big five, with the main cause unknown. The most-accepted theory is that volcanic activity caused by the breaking up of Pangaea killed many of the life forms at the time. The total count was 80% of species being lost to history. This was the first of the big five, and the second-worst in history. Back in the Ordovician Period, most life dwelled in the seas. It is believed that the cause was the start of an ice age, which screwed up the ocean's chemistry. 86% of species died out. 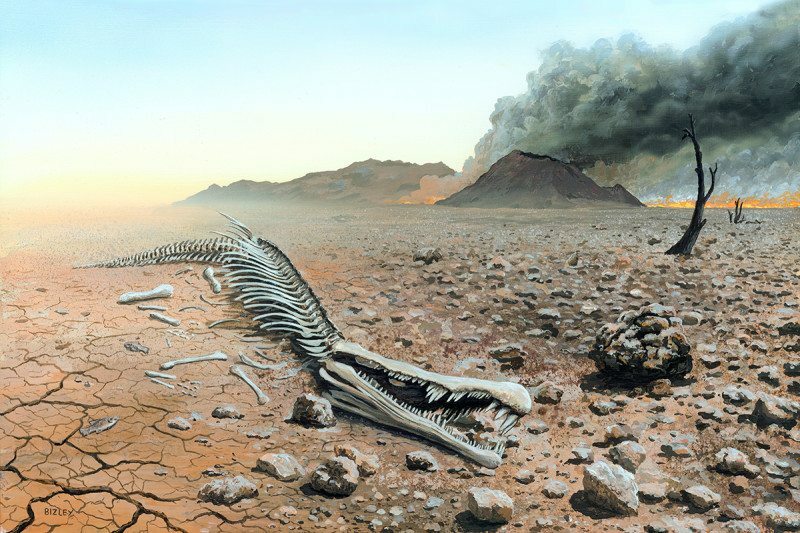 By far the most devastating and severe extinction in Earth's history is the End Permian Extinction, commonly nicknamed the Great Dying. 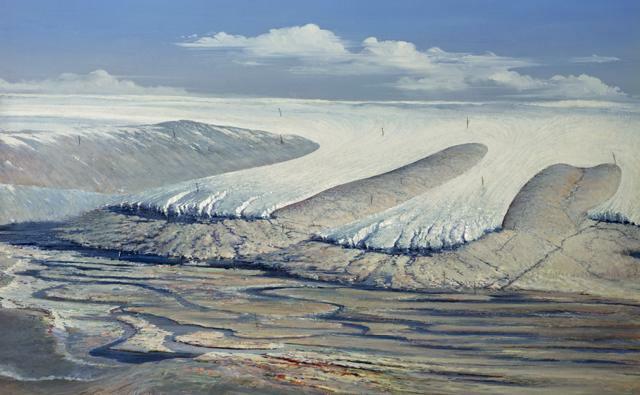 It was most likely caused by a mass eruption of the Siberian Traps, which drastically changed the climate. Lava burned plants and animals alive, also drastically increasing the amount of greenhouse gases in the atmosphere. Weather patterns were thrown off into chaotic cycles and bacteria released methane, circulated worldwide by winds. Acid rain struck from above, killing both plants and animals. The ocean was hit the hardest, with 95% of all aquatic species dying out. Things weren't much better on land, where 70% of species were lost. However, as a testament to life's resilience, there were survivors. In the oceans, sharks and some fish species survived. On land, reptiles like Proterosuchus survived into the Triassic, giving rise to the dinosaurs, who would, in time, dominate the Earth. Interesting read, Tyrannos. I haven't heard of the Orodovician extinction, until now. Edit: damn i double posted!